Choose 1 of 3 Primers with any $25 purchase. Use code: PREPSTEP There are always so many great beauty deals on Sephora. Stock up. Save. Don’t forget your free samples. Julep’s End of Season Sale is this week… or while supplies last, I should say! So many great items sold out almost immediately yesterday. Don’t miss out on the up to 85% savings Savvy Deals . I haven’t had the opportunity to try this box, but they look fabulous. You choose from three fashion styles and receive a box full of beauty and fashion items each month. Boxes are valued around $110. You pay just $39.95. Order the new Love & Anarchy box and it ships tomorrow! Save $5 on your first box with code HFB5OFF. I highly recommend GLOSSYBOX to anyone looking for an affordable beauty box subscription shipping high quality products. These boxes are always a tremendous value and I have made many of my favorite beauty item introduction through this box (Tarte Lights, Camera, Flashes, anyone?). They send everything from hair products to lip products to perfume. They collaborate with some amazing fashion and beauty brands throughout the year. The September box is a collaboration with Bazaar. I am so excited to try the Benefit They’re Real! Mascara and I love BVLGARI. Use code MAGIC to receive a free Eyeko mascara. 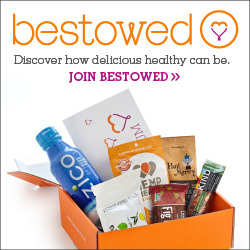 Discover the best healthy food and snacks with monthly deliveries from Bestowed! Get your first month free, with coupon code FIRST. Code valid for 3 and 6 month memberships only.